Though internet and email have revolutionized the conventional business building techniques, it is surprising that many nonprofit organizations do not make use of this powerful marketing tool to collect email addresses and to make a database of their members, patrons, and activists. Most nonprofit organizations still communicate with their members using the conventional means such as mail or phone. It is estimated that over 80% of the total population of the United States and Canada have access to the internet, which translates into the creamy pie the customer base. It goes without saying that by not using the email effectively these nonprofit organizations are missing out on a huge chunk of potential customers who would make these organizations formidable. Even if your own nonprofit organization does not use email for communication, it could still be used for compiling vital statistics and customer database that would come handy in future. Typically, newsletters have always been the time-tested tools of communication among the nonprofit organizations. However, newsletters fail to convey timely information as there will be a time lapse of over two months between creating the design, printing and mailing them. Whereas email communication ensures the swiftest mode of communication where you share the latest developmental activities of the organization among the patrons and members online. In addition, you can also save a pretty penny by way of printing and postage charges. 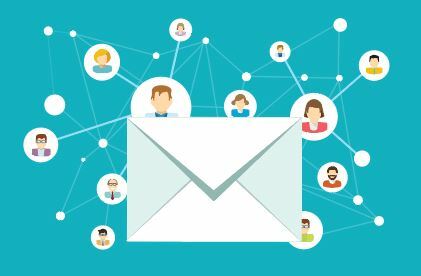 So, it is high time that the nonprofit organizations, especially those with membership groups, start exploiting the email technology to streamline its activities. Remember that the most effective email newsletters would be those that cater to the target audience. Make sure to know the pulse of the audience while designing online newsletters to on target. In addition, you can also add snappy email broadcast messages, latest organizational information, handy tips, events calendar or educational opportunities in your industry among others. It would ensure steady interaction with the audience and would notch up the open rate among your members. Make sure to send newsletters promptly and consistently; for instance, if you are bringing out a weekly newsletter ensure that it reaches the viewers at the same day same time to cater to the anticipation of the interested viewers who might miss it otherwise if sent randomly. Make it interesting so that the readers might be tempted to forward it to their friends and associates. You can also create a link that would automatically forward the newsletter if the reader finds it useful. Newsletters can also be dispatched to non-members in a way to increase the customer base of your nonprofit organization. If you aren’t using email to its fullest, then you might want to start checking on email marketing strategies today! Next Next post: Free Website Promotion…Why Not?